Why Being a BibRave Pro Rocks! I’ve been a BibRave Pro for a little over a year now and I really wanted to share why I love being an ambassador for BibRave. 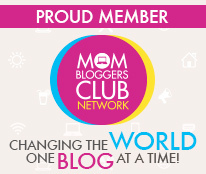 I’ll also share how you can become one too! So here are a few reasons why I’ve decided to continue as a Pro into 2018! Sweet SWAG! – Let’s go ahead and get the obvious reason out of the way. BibRave provides some awesome swag for their ambassadors and this year we even received a welcome gift from RunnerBox! Awesome Running Products! – BibRave also offers their Pros opportunities to test out the latest and greatest in running gear and nutrition. I never would have discovered some of my fave running products if it weren’t for BibRave! Amazing Races! – Do you have your eye on a particular race? 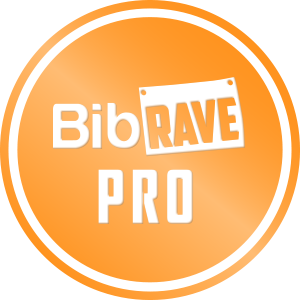 BibRave partners with some awesome race organizations and as a BibRave Pro you’ll have a shot at free race entries to some popular events! This year, BibRave partnered with the Hot Chocolate 15k and Rock ‘n’ Roll Marathon just to name a few! Rad Running Community! – Once you become a BibRave Pro you’ll be connected with a fun group of other Pros to share all of your running-related questions, advice, and experiences! You may even get to meet a few of them at some of your races! So do you love: Running? The color orange? Reviewing races? Social media? Testing running gear? Blogging about running? Networking with other runners? Then BibRave is for you! Apply today! See what all of the BibRave Pros are up to on social media by following the hashtag #Bibchat – And join the BibRave party every Tuesday night on Twitter at 8pm CST! Also learn something new each week on the BibRave Podcast! And be sure to check out the newest BibRave Blog for all things running and racing! So what are you waiting for! Apply today and see where BibRave can take you! Disclaimer: I received a free race entry to the Hot Chocolate 15k – San Diego as part of being a BibRave Pro. Learn more about becoming a BibRave Pro (ambassador), and check out BibRave.com to review find and write race reviews! All opinions are my own. Building up to the race I tried to add more challenging elevations to my routine to prepare for the infamous hills that I had heard so much about. So I did some extra hiking in addition to some longer runs. And since I knew that I would be going to a flat area for a week, I decided to run the Stairs of Death (112 stairs X 10) the day before I flew out. This turned out to be a terrible idea because I forgot my compression calf sleeves and the elevation/sitting on the plane turned my legs to Jell-O the next day. Anyway, lesson learned. I was also able to get in a short shakeout run while in Mississippi but then I decided to rest my legs until race day. The Hot Chocolate Expo was the Friday and Saturday before the race and they do not offer race day packet pick-up. I was pretty bummed that I was going to miss the Expo because I knew there would be lots of photo and swag opps…but luckily I had a friend who picked up my bib and extras for me. Hot Chocolate is pretty accommodating about having someone else pick up your stuff for you in the event you are unable to attend the expo. All they need is a copy of your ID (digital or printed) and they’re good to go! From what I heard, the expo is fun…but a little crowded and parking is a pain and costs $5-$10 because it’s downtown and parking downtown can be stressful. When I saw a picture of my bib I got even more excited! I was only a couple of days away from rolling in the chocolate! I even picked out my race day outfit before I went out of town! And then I looked over the race course to get an idea of what to expect on race day. I still wanted to gain a sense of what the race was like so I interviewed a few of my fellow Stroller Warriors to find out their thoughts! Rochelle: “I thought this race was very well organized from corrals to potty placement and amount of potties (weird but so important to me) to chocolate pick up and the fact they had bags to place over your mug to take it home! I thought that the swag was great! Nice jacket, medal, visor (given with code), and the mug of goodies at the end of the race. Love that pictures are free. Oh and whoever they got to run the water stations were AMAZING! They were so loud and enthusiastic handing out water and Nuun while cheering us on. I could hear them well before I could see them and that gave me an extra push to get to them for my hydration. Well it sounds like everyone enjoyed the race for the most part and would recommend that others run it at least once. Another thing that was kind of a bummer was that they changed the race date a couple of months before the actual race. The original race date was March 18th, but moving it to the 26th meant that it was the same day of another big race in San Diego. I think there could have been more participants had there not been a date change. So what was the SWAG?? A cinch bag and a sweet jacket! Everyone raves about the Hot Chocolate jackets and I know that is a big incentive for some to register (it was one of my motives). They are also pretty cool about switching out sizes at the expo if needed. They are a good quality and I really love that it’s a full zip instead of a pullover! They also offer free race photos which I think is fantastic swag! And of course, the medal! Ahh..that beautiful medal that was so close yet so far! Well the good news is that Hot Chocolate races are happening all over the country so I’m sure I’ll have the chance to #RunforChocolate in the future! If you’re interesting in running next year’s Hot Chocolate 15k San Diego on 3/18/18, register here. And you can vote on next year’s Swag! Hurry, you only have until April 5th to cast your vote! Vote here! Did you run this year’s Hot Chocolate 15k/5k? What did you think? Share your review on Bibrave.com to help out fellow runners!